Access to affordable medicine is an unmet public health imperative, according to a new report that recommended government drug price negotiation, competition reform and financial transparency to alleviate the issue. The report from the National Academies of Sciences, Engineering, and Medicine outlined several potential paths to more affordable drugs through various policy reforms. They range from consolidating the government's purchasing power to negotiate lower drug prices with manufacturers, closing loopholes in the regulatory framework that block competition and mandating pharmaceutical price transparency. The status quo has drained the entire healthcare industry as consumers, providers and insurers have had to navigate around high-cost drugs or eat the cost. The current system has produced a lack of competition due to patent protection manipulation, growing market shares that distort negotiations between suppliers and purchasers, and an overly complex pharmaceutical supply chain, said Norman Augustine, former chairman and CEO of Lockheed Martin Corp. who helped conduct the study. "High and increasing costs of prescription drugs coupled with the broader trends in overall medical expenditures, which now equals 18% of the nation's gross domestic product, are unsustainable to society as a whole," he said in a statement. Researchers proposed reforming incentives around drug formularies to favor less costly drugs that provide similar clinical benefits and restricting "dispense as written" protocols that suggest the use of more expensive branded drugs. They support eliminating "pay-for-delay" and "evergreening" tactics that deter competitors, cracking down on drug developer consolidation that provide monopolistic market shares and allowing foreign countries to import cheaper drugs. Pharmaceutical companies and industry groups have dismissed allowing Medicare to negotiate drug prices, claiming that a free-market system without governmental intervention would work better. They have also shunned the notion of allowing drug importation, citing potential safety concerns without the FDA's oversight. This has left much proposed federal policy reform at a standstill. But some states have been more successful. California passed a bill that will force drugmakers to justify big price hikes publicly, which the report also advocated. A study published in June in Health Affairs estimated that branded drug manufacturers more than triple the gross profit that generic makers net. Yet, it is hard to pinpoint exact figures due to the supply chain's opacity. Insurers and drug companies should disclose the average net price paid for drugs, and the U.S. Department of Health and Human Services should analyze and report the data on a quarterly basis to sniff out any anticompetitive practices, the National Academies of Sciences, Engineering, and Medicine study said. Congress should disallow direct-to-consumer advertising of prescription drugs as a tax-deductible expense, researchers said. Clinicians, medical practices and hospitals also should tighten restrictions on pharmaceutical companies' direct visits to clinicians and dissuade potential inducements, which have led to unnecessary treatment and inflated drug costs. Congress should establish limits on the total annual out-of-pocket costs paid by enrollees in Medicare Part D plans by removing the cost-sharing requirement for patients who reach the catastrophic coverage limit, according to the report. The CMS should also modify the Medicare Part D plan and health insurance exchanges to limit out-of-pocket expense for drugs that, if taken as scheduled, are proven to reduce the total cost of care. Patient deductibles and co-payments in all policies through Medicare Part D and governmental health insurance exchanges should be calculated as a fraction of net prices, not list prices, which have little bearing on actual cost, researchers said. 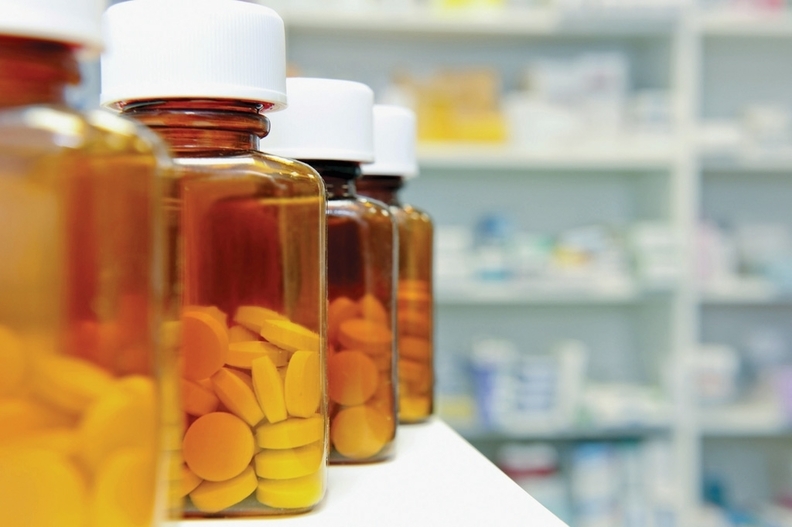 An overhaul is needed of the 340B drug discount program, an inefficient system that is often misused, researchers said. There should be systematic collection and analysis from participating drug manufacturers and providers on the volume of purchases, revenues generated from the program and how they are used to fund safety-net services. The Orphan Drug Act, which was intended to foster the development of drugs for rare conditions, should be tweaked to ensure that the designation isn't misused for widely sold drugs by tying incentives to public health improvement benchmarks. The FDA should also limit the act's market exclusivity to one seven-year extension, according to the report. Reimbursement incentives should more closely align clinicians' prescribing practices with treatment value rather than site of care. Providers should also provide physicians have accurate data regarding drug cost and efficacy to better track cost and outcomes, researchers said. There is often an incentive to prescribe the most expensive drug rather than the most effective one, said Michelle Mello, a Stanford University health policy professor. "Conflicts of interest are rife in the sector," she said during a press briefing Thursday. Many have sought to strike a balance between fostering innovation through new treatments and keeping drugs affordable. Those along the pharmaceutical supply chain have blamed each other for the rising price of drugs, pointing at pharmacy benefit managers' rebate policies or how pharmaceutical companies justify the cost of breakthrough drugs through research and development. The FDA has looked to patch a porous regulatory framework that has allowed branded drug manufacturers to block generic competitors. Some brand-name developers wouldn't give generic firms access to samples needed to make copies of their drug and would use loosely interpreted patent infringement laws to quell perceived threats. Mylan and Valeant Pharmaceuticals are two of many examples of companies that have taken advantage of decades-old off-patent drugs that have little to no competition and drastically hiked the prices. A study conducted by the U.S. Government Accountability Office found that between 2010 and 2015 there were at least 315 instances where the price of generic drugs that were on the market throughout the duration of the study had sudden increases of at least 100%. The FDA aims to prevent these types of practices by expediting generic approvals for branded drugs that have less than four competitors, publish a list of off-patent drugs without generics and clear the existing orphan drug request backlog. Proponents of the Creating and Restoring Equal Access to Equivalent Samples Act (CREATES Act) claim that it would quell the practice of denying generics adequate samples and clear a path to more competition. Value-based drug contracts that tie price to treatment outcomes has also been touted as a means to lower drug prices. But critics contend that drug manufacturers still have too much flexibility in setting distorted drug prices and that outcomes can vary too widely, particularly with patients who have multiple diseases and treatments. While the existing pharmaceutical framework has generally served patients well, the status quo is not acceptable, researchers said. "Simply stated, bitter pills are sometimes necessary for providers as well as for consumers," according to the report.